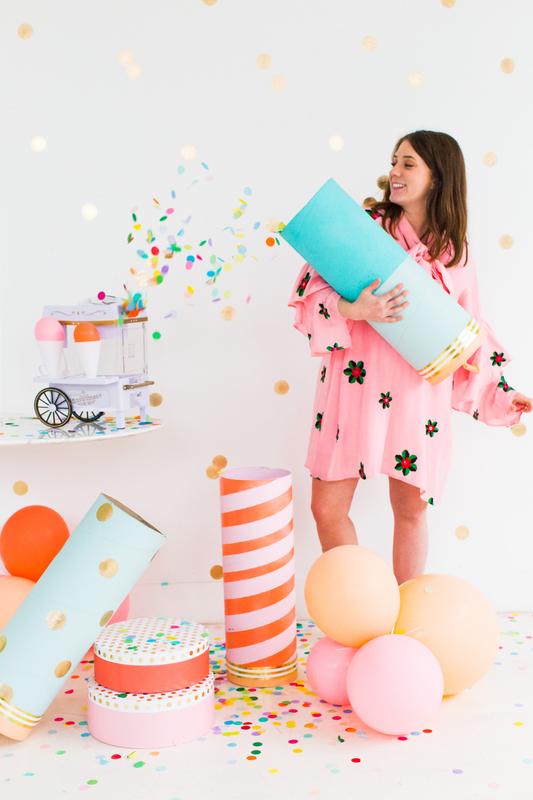 Not to toot my own confetti horn or anything, but I have to say, I am insanely excited about sharing these simple jumbo DIY confetti poppers! New Year’s is just around the corner but these babies are perfectly appropriate alllll year round. Or in my case, even just a typical day at work, haha!